We’ve been following the development of technologies that might make hoverboards possible for a while now. Alas, they’re kind of like jetpacks—we hoped, even expected, to see them widely used by now, but they aren’t. At least functioning jetpacks actually exist. But wait, this is no longer a point of distinction, as an honest to goodness working hoverboard is here. Hendo Hover is responsible for finally translating the hoverboard from science fiction to science fact. 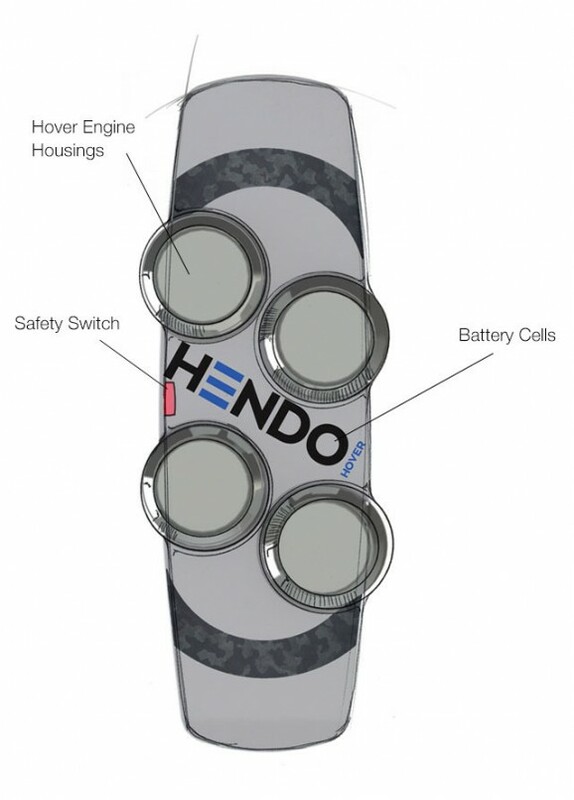 Hendo has developed a working prototype—the company’s 18th—that actually hovers an inch off the ground. And, of course, the company has a Kickstarter campaign (which has already met its goal) to raise enough money to put the “finishing touches” on the product, manufacture them, and build places to ride them—something akin to skate parks. The design involves four circular engines that generate a magnetic field that pushes against itself and raises the board into the air. This is essentially an example of physicist Heinrich Lenz’s law of electrodynamics, which explains how electromagnetic circuits work and demonstrate Newton’s third law. In a nutshell, changing the magnetic field of a current induces electric currents that oppose and repel each other. 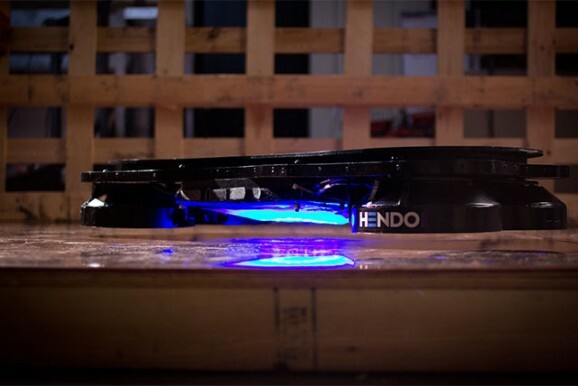 The hoverboard does need to be above a non-ferromagnetic conductor surface—in other words, sheets of metal. But they’re working on other ways to generate cheaper and more usable surfaces. The ten donors who have pledged at least $10,000 to the Kickstarter have already secured their very own hoverboards—they’ll get the first ten produced at a public event scheduled to take place on 10/21/2015. But for everyone else, Hendo is offering its Whitebox Developer Kit, which includes all the technology and pieces necessary to construct a hover…thing. Essentially, the kit is meant to be tinkered with, explored, and deconstructed—it allows people to create their own hovering objects, like toy airplanes. This sounds like a good idea, but I can see some awfully disappointed kids in the event the DIY assembly goes wrong. Then, there’s the Whitebox+, which is controllable via an app, so one could assemble an army of hovering white boxes. As Hendo points out, the applications are nearly limitless, and include bullet trains and, perhaps one day, the Hyperloop. But we’re getting ahead of ourselves. For now, I think we all just want to be like Marty McFly, and the rest is gravy. What’s wrong with wheels, or am I just thinking revolutionary thoughts?